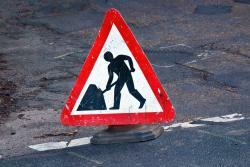 Our £2.6m resurfacing programme continues with works set to begin at the C41 Oxnam Road in Jedburgh this month. Oxnam Road was identified as one of 32 key routes across the Borders requiring improvements, as part of a £2.6million resurfacing programme this year. A section of the road around the industrial estate will be closed for four days on Thursday 23 and Friday 24 August and Sunday 26 and Monday 27 August from 8am to 5pm each day. The road is fully open on Saturday 25 August. Where possible, access will be provided for local businesses and residents of Rowan Road, with the diversion route for all others via the A68. Local businesses and residents are being notified of the works via letter ahead of the closure. “This is the latest resurfacing project the Council is taking forward as part of its programme, following high profile works at Earlston High Street and Scott Street in Galashiels which are both due to be completed on 10 August. Maps of the closure are available on our Flickr page.